“Achieving energy conservation in buildings depends on how well the energy consuming equipment is controlled while meeting requirements such as comfort, health and safety.” – Younes Rashidi, Mitacs-Accelerate Intern. With the cost of electricity continuing to rise, businesses and homes are looking at increasingly innovative ways to reduce consumption and help the environment. While energy-efficient light bulbs and heating systems are now commonplace, Vancouver-based Unity Integration Corporation (UIC) looked to develop other technologies to help cut energy use in buildings even further. UIC turned to Mitacs-Accelerate and Simon Fraser University for expertise on how to turn their idea of a low-cost, energy-efficient sensor system into reality. 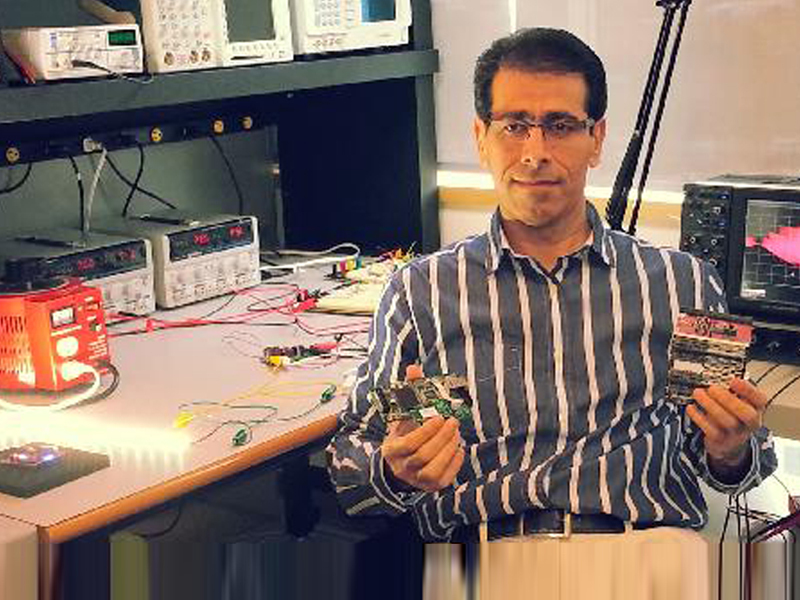 Through a Mitacs-Accelerate internship, Masters student Younes Rashidi from the Department of Mechatronic Systems Engineering helped UIC develop an intelligent wireless sensor network that turns lights and heating on and off as required. The sensors automatically detect when a person enters or leaves a room, adjusting the environment accordingly. Rashidi worked with UIC and his academic supervisor at SFU, Dr. Mehrdad Moallem, to design and build the hardware, including sensors and controllers, then programmed a series of algorithms to control them. Finally, the system was tested. Trials have found lighting costs can be slashed by up to 90%. While lighting sensors aren’t new, this new system is both energy-efficient and wireless giving unique advantages, as Rashidi explains. The system uses Bluetooth Low Energy (BLE), one of the newest technologies, which provides significant energy savings. Because it is wireless, it can be easily installed in existing buildings at minimal cost and with no need to run cables through walls or ceilings. It is not just lighting and heating that can be controlled – UIC plans to extend the application to control security systems and even monitor air quality with wireless sensors. Vojdani said Mitacs-Accelerate not only provided access to the latest university research expertise and facilities, but also a job for Younes. Mitacs gratefully acknowledges Industry Canada, the Networks of Centres of Excellence's Industrial Research and Development Internship program, Western Economic Diversification, and the Government of British Columbia for their support of Mitacs-Accelerate in the province.